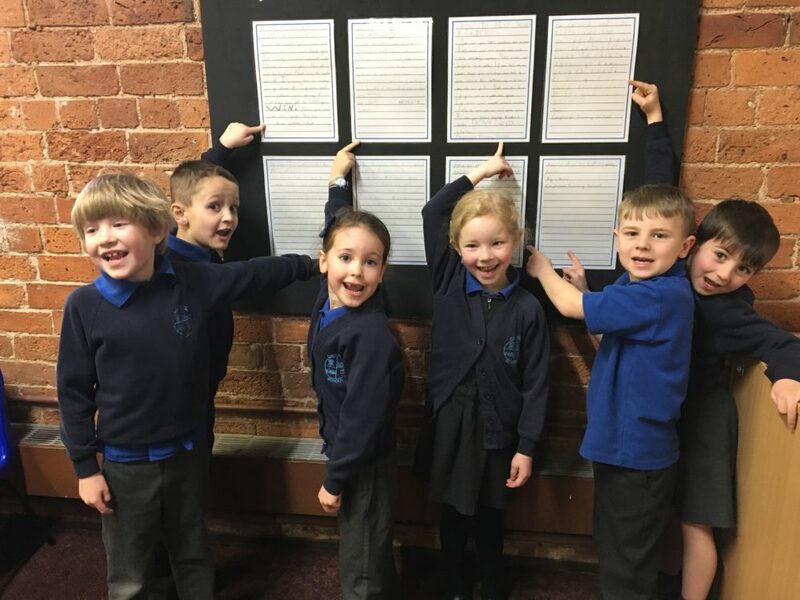 Six pupils from Caythorpe Primary School were delighted to learn that their work had been put up in the Museum of Lincolnshire Life in Lincoln. The pupils had borrowed toys from the loan boxes of the museum and were given the task of writing their own versions of the rules of Snakes and Ladders. The descriptions had a particular focus on playing fairly and enjoying the game with family and friends. The Key Stage 1 pupils explained that they were ‘grateful, proud and happy’ to see their work in the museum that reflects the history of Lincolnshire from the 18th Century to the present day. Caythorpe’s selection of rules will now sit proudly alongside 250,000 other objects that have been gathered and presented since the museum at the heart of Lincoln first opened 50 years ago. Claire Turner, Key Stage 1 teach at Caythorpe, explained: “We have been learning about explanation texts and we decided to send some of the information to the museum to describe how to play snakes and ladders. The museum offers free entry each day, apart from during specialist events, so if you are in the Lincoln area, pop in and take a look at the fabulous work by Caythorpe’s pupils.